When you receive Zerona or Lipo-Light treatments a Nu-Living Optimal Wellness and Longevity Center, your results will be enhanced by the use of the iSmart Vibra-Pro machine. The vibration therapy will mobilize the newly released liquid fat from the immediate vicinity of the adipocyctes (fat cells) to the micro-lymphatic channels which will lead the fat toward the regional lymph nodes. The iSmart Vibra-Pro machine, by virtue of its dual vibration effects of both linear and harmonic motion, readily activates the lymph nodes. This allows for the passage of liquid fat into the blood stream on its way to the liver, where it is eliminated by the process of beta-oxidation, a metabolic reaction converting fat into energy (glucose), carbon dioxide and water. The iSmart Virbra-Pro vibration therapy is included in the price of both Zerona and Lipo Light treatments. 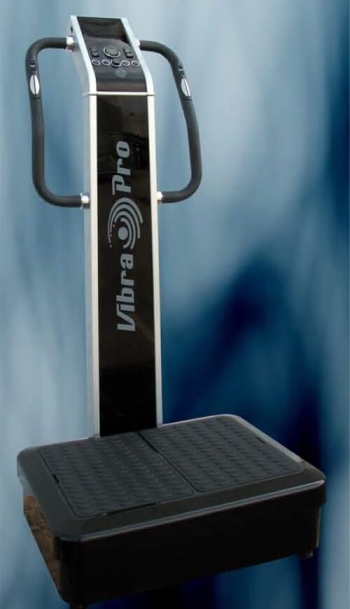 Traditional whole body vibration machines work with what is called harmonic motion, which moves the user in an up and down motion on the platform with a relatively high amount of amplitude, which refers to the actual physical distance of movement. The number of times that the machine platform actually moves in one second is referred to as the frequency and is measure in Hz. Most machines will have a low frequency and a high amplitude which is great for individuals that are looking for the weight loss abilities of Whole Body Vibration machines. The other common type of vibration plate machines utilizes linear motion, which moves the platform forward and back and side to side and is often used to help build muscle strength. The way to achieve increased muscle strength is to use a machine that has very low amplitude but has a much higher frequency of motion (Hz) than the typical oscillating style machines. The new iSmart is the first machine to offer both types of vibration in one unit. With controls that let you use one type or the other, or both at the same time. A real revolution in the industry, this unique design lets you burn calories and increase muscle strength at the same time. 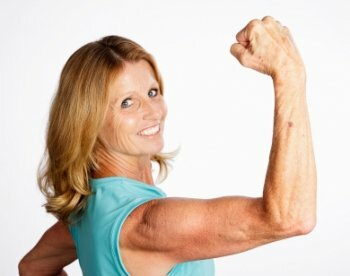 ne of the other great benefits of linear motion machines is their great ability to increase bone density. 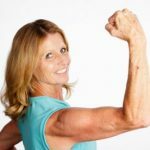 That is why so many clinics use linear motion machines to help their patients that are suffering from Osteoporosis.